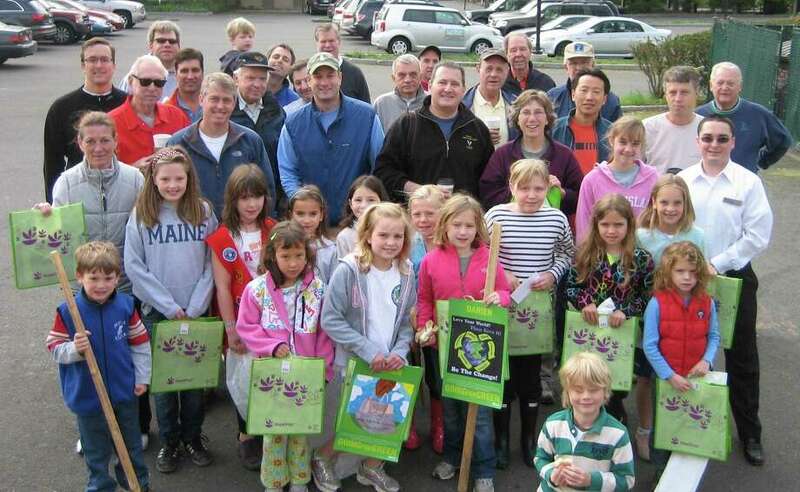 The Darien Beautification Commission and the Darien Chamber of Commerce will sponsor the annual Darien Spring Clean Up on April 24. Above are volunteers from last year's clean up. The Darien Beautification Commission and the Darien Chamber of Commerce will sponsor the annual Darien Spring Clean Up April 24. Volunteers will help clean up downtown Darien and storefronts, the exits/entrances off I-95, the Darien and Noroton Heights train stations, Weed and Pear Tree Point beaches, town parks, and more. Supplies, including trash pickup sticks, sanitary gloves and trash bags, will be handed out from 8 to 9 a.m. in the Gofer Ice Cream Store. Wear old shoes, comfortable clothes and bring gardening gloves. Adult supervision is provided and community service hours awarded to all students. For more information or to sign up, call Suzanne Schutte at 203-655-3795 or email suzanneschutte@aol.com.